Looking for some informative content on social media? Check out these 10 Strength Coaches To Follow On Twitter. 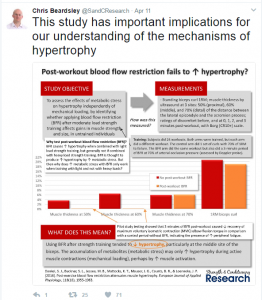 As the Twitter handle suggests, Chris posts information on the latest in Strength and Conditioning Research. If you head over to his website you will find articles on all things Strength Training, while on Twitter he posts handy Info-graphics like this.. 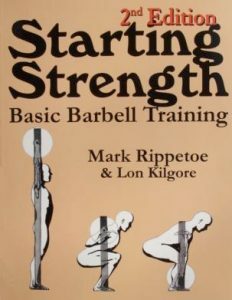 Almost a Bible of the basic lifts, Mark is the Author of Starting Strength and owner of the website of the same name. He is a former Powerlifter with over 30 years of coaching experience and is all about making you stronger. Another legend of Strength Training, Dr Poliquin also specialises in Nutrition and Health. His website contains some of his collaborative efforts with other coaches and Olympic athletes. 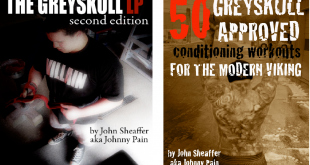 I read everything I can from Thib, and you’ll see several of my Chest and Arm Training articles reference his work. He’s a regular contributor over at T-Nation.com and is keen on fine-tuning technique to get the most out of an exercise. If you’ve seen the film I recommend in my Books & Videos called Bigger, Stronger, Faster, you’ll be familiar with Mark. 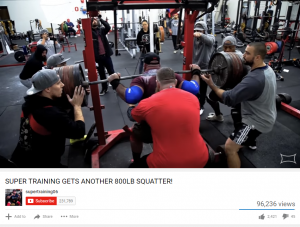 He founded Super Training Gym and you can see his athletes train on Youtube where the focus is on the Big Three Powerlifts: Deadlift, Bench Press and Back Squat. 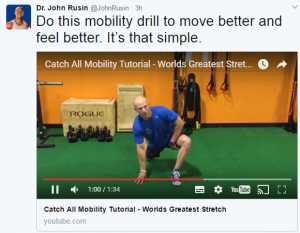 John has a background in Physical Therapy and is a great help when it comes to correcting movement problems in the gym. 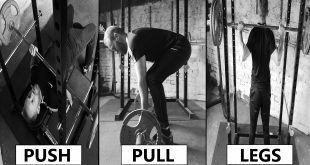 He has thousands of minor cues that can add value to your lifts and help avoid injuries. Founder of MobilityWod.com and author of Becoming A Supple Leopard, Kelly is THE guy to go to for stretching (he prefers the word “mobilising” to stretching). His book is both an Operating Manual and a Troubleshooting Guide for the human body, and if you haven’t heard of him you are really missing out. Chris runs T-Nation, a site i’ve kept my Training Log at since 2009. 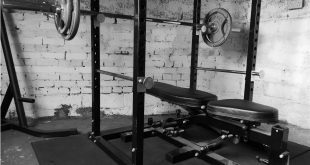 They have a dozen incredible Strength Coaches contributing articles every week and have a sizeable database of old articles that are still relevant today. Yet another T-Nation contributor, Tony currently works as a PT in Boston. As a former Fitness Instructor it’s always useful to read his stuff. It relates a lot to the coaching of other people, as well as being applicable to your own training. Lee tweets common sense that’s often overlooked. 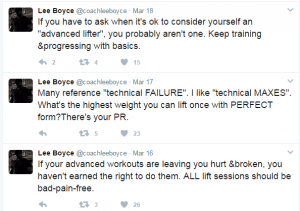 He’s a Strength Coach first and foremost and i’ve read many of his articles, but I follow him for the nuggets of information he tweets daily. Hope you enjoyed the list! Have others worth following? Drop me a message with who else you think should make the list (9to5strength@gmail.com).